SCVHistory.com LW3017 | Early California | Wooden Plow, Spanish Mission Period, Early 1800s. 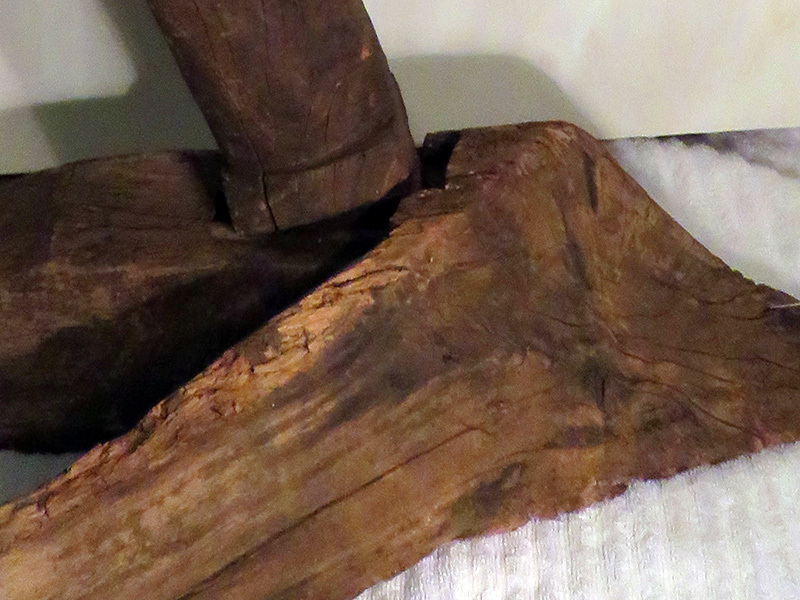 A Spanish mission period wooden plow, 2 pieces, height 36 inches assembled, probably early 1800s. An instrument of subjugation, it would have been pulled by a draught animal and guided by Native Americans who had been removed from their village and taken to live and work in the mission fields and gardens. This example was found (date unknown) near Bonita in southern San Diego County, ancestral home to the Tipai people. The same type of plow would have been used within the San Fernando Mission sphere (i.e., the San Fernando and Santa Clarita valleys). LW3017: Ex-Helm Auction 6-3-2017; collection of Leon Worden. Download original images here.